This 400 CFM Air Compressor Rental – MMD PDS400S, is available for rent in Rochester NY, Ithaca NY and the entire Western New York region from the Duke Company. 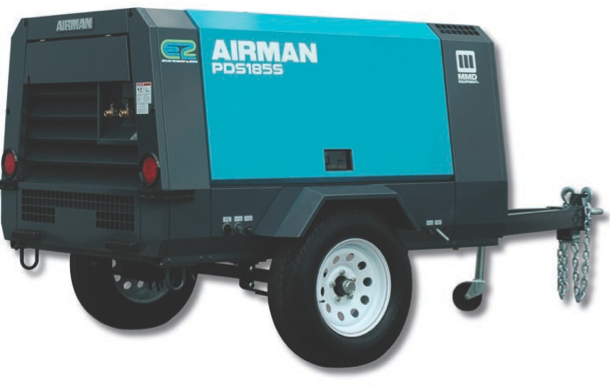 The MMD, 400 CFM air compressor features a rotary twin screw, single stage and generates 400 CFM of free air delivery at a working pressure of 100 psi. The machine is powered by a Isuzu DD-4GBIT, 4-cycle, water cooled, direct injected, turbocharged engine. With the towing frame, this compressor weighs 4,553 pounds.